When you purchase our product for the first time, Anritsu Meter recommends the most versatile thermocouple thermometer. Measurement requires both a Temperature probes and a Thermometers. See the following selection guide. 1. Basically, select the Temperature probes for each application. → Search for products by application. 2. 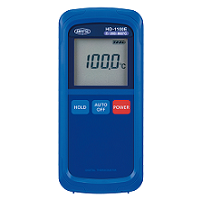 Match the thermocouple type to the Temperature Probes and the Thermometers. →Q4 What is the difference between the Type-E and Type-K thermocouples? 3. 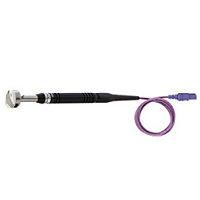 Temperature Probes can have its size, pipe length, cord length, plug shape, etc. customized. 4. Select the plug shape suitable to the Thermometers. →Q46 How should you choose a combination of a measuring instrument main body and a plug? 1. Select based on necessary functions, etc. 2. Match the thermocouple type to the Temperature Probes. 3. A connectable plug shape differs depending on the Thermometers. In some applications, there are more optimum products than the thermocouple thermometer. In that case, select a suitable product from the following questions. When you want to measure under a high frequency, microwave or high voltage? Anritsu Meter recommends a Fiber Optic Thermometer available in an environment where an electric thermometer fails to measure. Select the Fiber probes and the Product. 1. The sensor can have its cord length customized. 2. There are different types depending on the application and the working temperature zone. Select a suitable one. 1. Either a 1-channel or 4-channel input system is selectable. When you want non-contact measurement? Thermometer capable of measurement without direct contact. It is important to make setting compatible with the emissivity of a measurement object. See the following link and select a suitable one according to your desired installation method. →Q18 What materials can you measure easily with the radiation thermometer?